Most of the online reviews we see address products and places, but service reviews can be just as useful, as more and more people are looking for information on experiences in addition to tangible products. Most people include service reviews within reviews for a particular place (e.g. a restaurant or a spa), but this should not stop you from being more specific. Does [Brand / Person Name] Career Coaching Make a Difference? Is [Person’s Name] a Good Massage Therapist? Are Ride Operators at [Theme Park Name] Safe? As you can see, these are articles you might already be writing! The only difference between normal Hubs with these titles and Hubs that ‘officially’ offer reviews of services is that reviews devote a sufficient portion of the Hub to evaluating the service in question and include a Ratings Capsule showing a personal star rating. A significant perk that comes with reviewing a service instead of a place or a product is that the competition is often less stiff. While nearly every store, service-rendering establishment, restaurant, and product is represented on at least one, if not multiple, review sites, analyses of the service aspect of their offerings are far less common. One important point: Keep in mind that if you are reviewing a service provided by a particular person. It is imperative that you be professional and empathetic. The service provider in question is likely to come across your review, and it may significantly affect their reputation, so it is your responsibility to be fair, kind, honest, and objective. Be mature, be just, and remember that your online voice can be a very, very powerful thing. Have we inspired you to review a service and submit your review Hub in the Rigorous Review Contest? Hurry! The final deadline for entries is November 28th at 12:00pm PT. While restaurant reviews are incredibly popular, very few are all that useful- at least when presented by one person. This is why we depend on sites like Yelp to give us an idea of what the general local population thinks of a local eatery. Even with the power of crowdsourced masses, though, restaurant review sites don’t have it all. How can you provide to curious restaurant-goers with that which major restaurant review sites lack? Here are some pointers. Bring up a restaurant’s ratings in major publications and on popular online ratings sites, then add additional context to these ratings by pointing out whether the rating may be unfairly high (because the food is cheap) or unfairly low (because the average clientele is impossible to satisfy). Also leverage your personal experience to provide a concrete story with which readers can compare overall online ratings. Though online restaurant review sites make it easy for their members to upload photos, few people do, and many of the photos that do get uploaded are messy shots furtively taken with a smartphone camera. You can give your restaurant review Hubs an edge by including a large number of high quality images. Bring a real camera to the restaurant you review, select a well-lit table (natural light is ideal), take photos of all the dishes, and call on your friends to give you photos of their dishes when they go. In addition to including photos of a variety of dishes, include photos of the same dish taken at different meals to give people an idea of how quality, portion, size, and presentation may vary. Restaurant review sites only cover the basics- address, opening and closing hours, basic details, photos, and customer reviews. You can create stiff competition by including more detailed background on the restaurant, adding recipes you’ve developed that replicate the restaurant’s signature dishes, and including links to the restaurant’s nutritional information for specific dishes (if it exists). Instead of just reviewing the basics, such as ambiance, service, and food quality, go above and beyond by considering factors that matter to people, but are rarely factored into reviews, such as the nutritional value of dishes the restaurant serves, and the environmental sustainability of its menu offerings. These are only a few ways in which you can write online reviews that have a very good chance of being competitive with ratings from professional restaurant critics and popular restaurant review sites. When you are about to review a restaurant online, take some time to see what other online reviews about the place lack, then be sure to make up for those differences (and then some) in your own review. Of all reviews one might write, restaurant reviews are amongst the most enjoyable to create. After all, who doesn’t want a good excuse to eat out? We hope that this month’s Rigorous Review Contest is a good enough excuse to inspire you to eat out more, and that you submit several entries fill with alluring images and honest evaluations. Just remember to have a thorough look at our official contest rules and qualifying requirements before you start! This week, we will focus in on another popular type of online review: that of a particular place. Restaurants are the most popular types of places to review, and we have a whole guide dedicated to that type of review that will run later this week, but we think it is important to start by sharing some tips on writing reviews of places in general. People don’t often think to review places. Usually, people write about places, their history, their beauty, and their significance, and leave it at that. Why not include an evaluation of a place you write about in a travel Hub? By adding a Ratings Capsule to a Hub about a place (be it local or foreign), you can bolster your work with additional utility and make it more alluring in search results (again, people see the stars presented in your Hub’s Ratings Capsule and may be more compelled to click on it as a result). 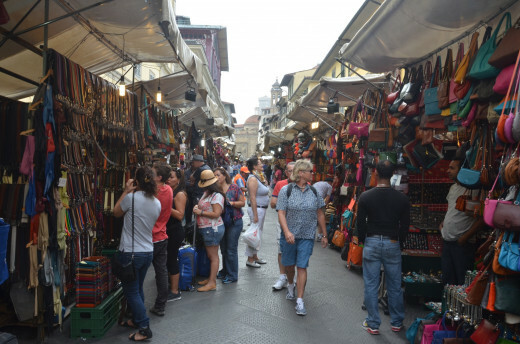 Go for a list format: We recommend titles like “Best Restaurants in Berkeley, California”, “Pet-Friendly Vacation Lodges in New England”, or “Museums for Kids in Rome, Italy”. This enables you to write location-based reviews while avoiding competition with Google results, which often crowd out other online articles with local business listings and Google Maps results. Utilize the Map Capsule: This adds utility and visual pizzazz to your location reviews. Include additional history, facts, and details that are associated with the location. Additional information strengthens your personal opinions and makes your Hub more likely to catch searches from those looking for related niche topics. Add lots of images and original photos: A picture is worth a thousand words! Perhaps you had decided not to enter this month’s Rigorous Review Contest because you did not have any particular products you wanted to review. We hope these tips have opened your eyes to a whole new world of online reviews. As product reviews are amongst the most popular forms of online reviews, we want to be sure to share some product Hubbing tips that will give you an edge in this super-competitive space. Genuine reviews are the only reviews readers care about. Those looking for information on a product want to hear about its strengths and weaknesses from the horse’s mouth, so as soon as they realize that an author has not actually come into contact with a particular product, they are very likely to click away. Even if a product is terrible, it may still be the lesser of other evils. Be sure to mention how good a product is relative to the competition (and no, you do not have to buy a competing product to reference it, though it’s best if you do some research). Before buying a product, we often do some research (both online and offline) to ensure we get that which best fits our needs. Take notes as you embark on initial fact-finding missions. After you purchase your product, incorporate those initial findings into your final review. Good reviews are those written by people who have had a decent amount of time to test and use the product in question. While it may be tempting to write a review right after you have unboxed it, wait a while. Initial frustrations may subside and new problems may crop up; only time will tell if a product is really good in the long run. The more information you include in a review, the more useful and share-worthy it becomes. Include as many facts, figures, prices, numbers, and feature details as you can. Bonus tip: Presenting this data in Table Capsules makes it easier for readers to digest this information. People respond well to images in almost all cases, but with reviews, it is especially important that you provide visual information, and that your images are your own. By using original photos, you can prove to readers that you really do own and use the product in question. Have these tips inspired you to write a killer product review? Good! Now is the time to write it. By publishing a Hub containing the Ratings Capsule set to a single or multiple person rating during the month of November, you are automatically entered to win anything from $25 to $200 in cash prizes. 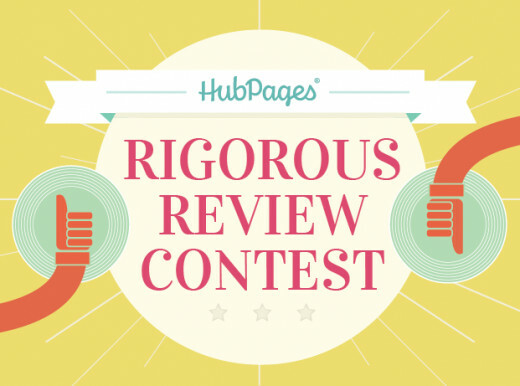 Stop by our official Rigorous Review Contest page for rules and entry details. We strongly encourage you to use Exclusive titles when writing review Hubs (be they for this month’s contest or any old review). You might find this idea somewhat counterintuitive, because most Exclusive titles do not reference specific product names. That actual products are not named is actually a good thing. You heard us- reviews that have titles like “Simone Super Slingshot Review” or “Review of The Simone Super Slingshot” aren’t likely to see long-term success, as they may find it hard to compete with mainstream product listings and brand pages that are associated with that product’s keyword. Google gives precedence to established brands and functional results. If Google Search sees that someone is searching for a particular product, it assumes this person is interested in buying it, and therefore is far more likely to serve up results that make it easy for them to do so. 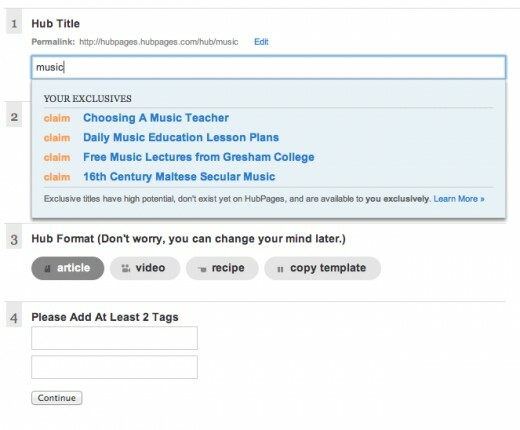 HubPages is not a commerce site, and it is not an official brand site- that much is self-evident. Searchers looking for results associated with specific product keywords are far more likely to click on trusted brand sites and commerce sites they know- even if they’re just looking for consumer reviews. After all, we know that loads of people submit reviews on Amazon, and that we can trust the wisdom of that large, widely-distributed crowd more than we can trust the review of one, non-credentialed, online stranger. Furthermore, since Simone’s Super Slingshot is replaced with a newer product, like Simone’s Superfly Slingshot, a title containing the name of the original product renders the review out of date and makes updates to the Hub less effective (the title can be changed, but the URL containing the original product name cannot). Does this mean you should not even bother to write online reviews? Absolutely not! You simply must learn how to title and frame these reviews correctly. Instead of titling a review of the Simone Super Slingshot “Simone Super Slingshot Review”, go for something like “Best Slingshots for Newbies” or “The Basics of Slingshot Safety”. These Hubs can contain photos, information on, and reviews of the Simone Super Slingshot, but they’ll also offer more general information on buying and using the product. Big brands and commerce sites can’t compete with real people on that front. These Hubs will also be able to update when new products and new versions roll out. Now you may see why Exclusive titles can make for such great review fodder. They give you high-potential subjects to write about which can also include in-depth product reviews, and they keep you from falling into the product keyword review hole, from which few Hubs ever emerge. An Image Is Worth 1,000 Stars – Share Your Review Images With Us! While star ratings can make a review stand out in search results and add professional polish to the reviews themselves, they mean little if they are not paired with useful analysis and great images. Original images of products, places, and services in a review make a huge difference. In addition to providing visual information about the subject in question, they make reviews infinitely more trustworthy by clearly demonstrating that the author has actually used the product, visited the place, or enjoyed the service. Original images also add the same benefits to review Hubs that they add to all Hubs: they improve overall quality, keep people on the page longer, and show that you really care about your work and are willing to put in the effort needed to create the best online resource on a particular subject. As the Rigorous Review contest progresses and as you submit various review entries, we strongly encourage you to include as many original photos in your work as possible. We would also love you to share the best photos you’ve used with us on Facebook, Twitter, and Google+! You can also email photos directly to me at Simone(dot)Smith(at)HubPages(dot)com! I look forward to seeing your great review photos- and your Rigorous Review Contest entries! Stop by the official contest page for the entry requirements and rules. As our Rigorous Review contest launches today, you may be interested in knowing what it takes to write a winning review- not just one that has a better shot at winning a contest prize, but one that has good chances of seeing long-term success via search engines and social media. Indeed, using the HubPages Ratings Capsule give your Hubs star ratings that show up in search results, which can make these Hubs more compelling than their competition. Search-friendly titles are of course essential when it comes to a Hub being found through search results, and the utility of a Hub plays a crucial role in determining whether or not it ranks well in those results. The authenticity of a review is also crucial when it comes to long-term success. Because the Internet is flooded with reviews of products that have been written by people who have clearly never purchased them, reviews of products written by actual owners- people who have tried and tested them, and who have real stories and experiences and images to share- are all the more valuable and likely to succeed. Reviews that are well-written, attractively-formatted, and that feature relevant (and hopefully original) images, video, and other relevant media (e.g. tables summarizing prices and features) also have a greater shot at success because they include more concrete information that can help potential buyers make educated decisions. We put a lot of thought into our judging criteria for each contest and try to make these challenges into learning experiences that can leave you both a winner and a stronger Hubber. Even if you don’t participate in November’s contest, you can still learn a lot about writing online reviews from this month’s blog series. Stay tuned! P.S. Before entering in the contest, be sure to read the contest rules and qualifying requirements on our official contest page.